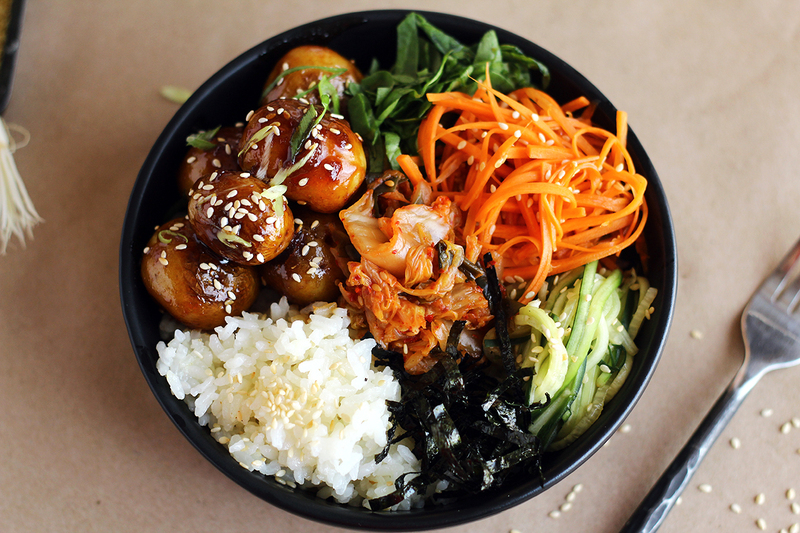 Rich, sweet and savory Korean style potatoes with rice, sesame carrots, tangy cucumbers, nori, spinach, and kimchi. Add the garlic and stir, cooking for one minute. All ingredients (al gamja jorim, rice, sesame carrots, and tangy cucumbers) can be made ahead of time and assembled into a bowl when you’re ready to eat.